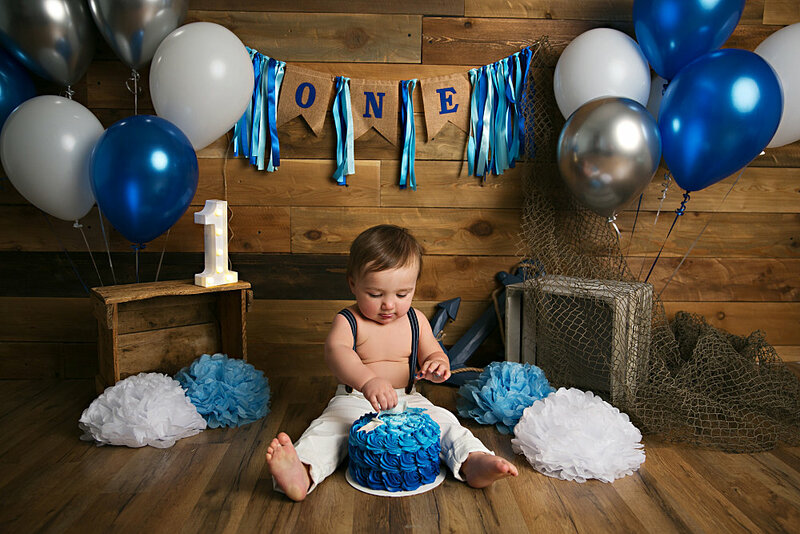 When is the best time to do a milestone session? 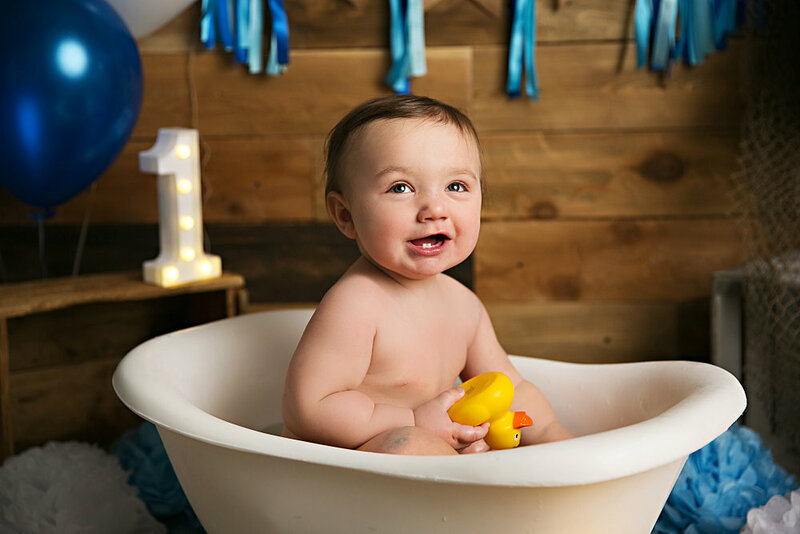 When your baby has reached the milestone of lifting it's head on it's own and rolling over (3-5 months) and when your baby is sitting up on it's own and crawling (6-9 months). 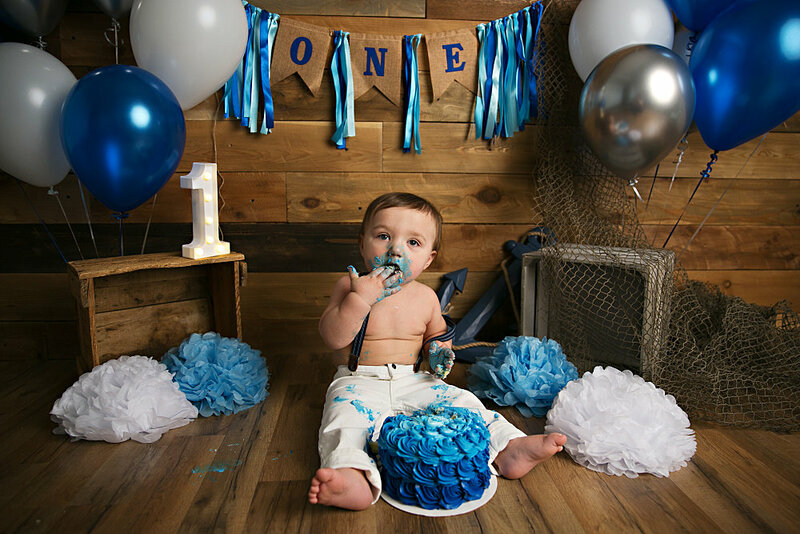 When is the best time to do a cake smash session? 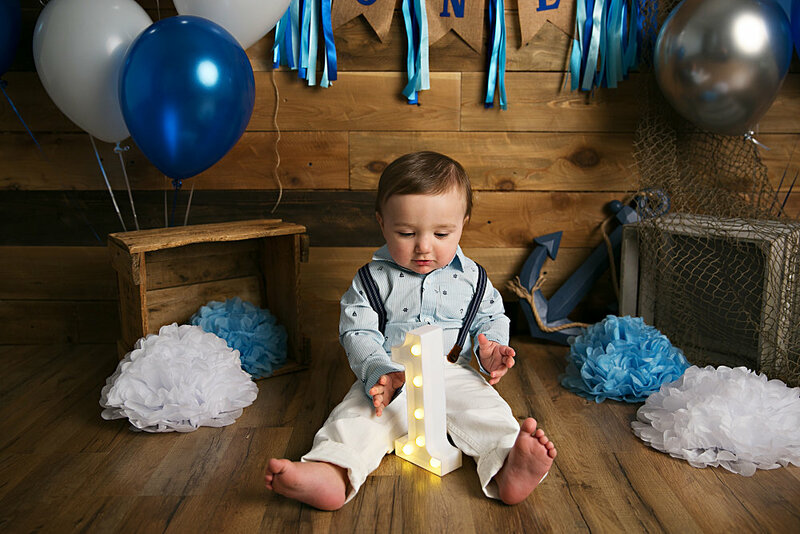 About 2-4 weeks before the first birthday so the photos will be ready in time to show off to friends and family. 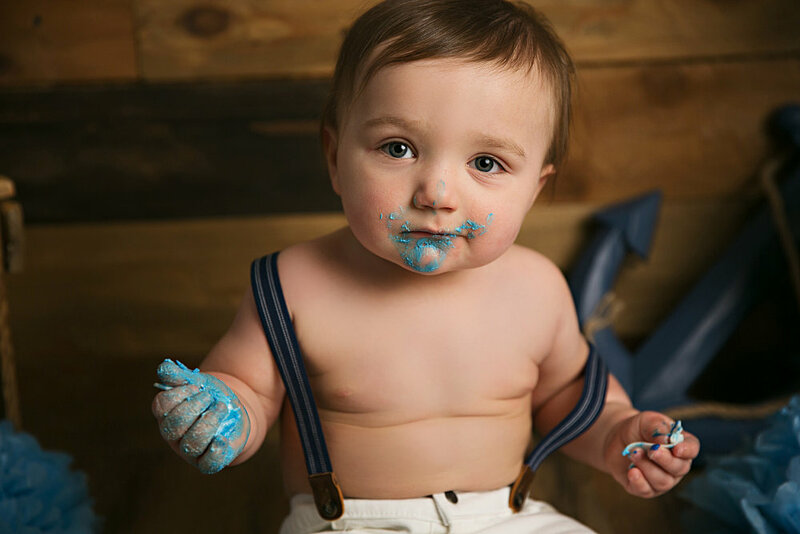 What do you provide for the cake smash session? 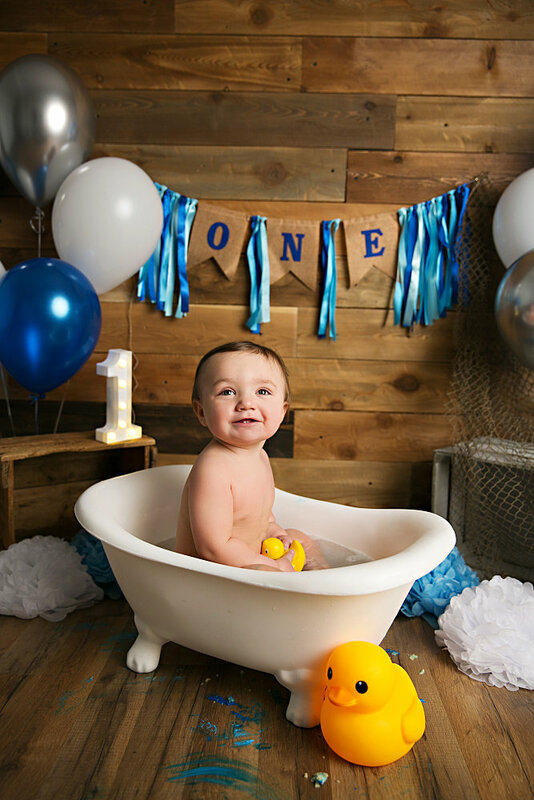 We provide the following: studio space, backdrops, props, birthday decorations (3 colors), and the bubble bath. 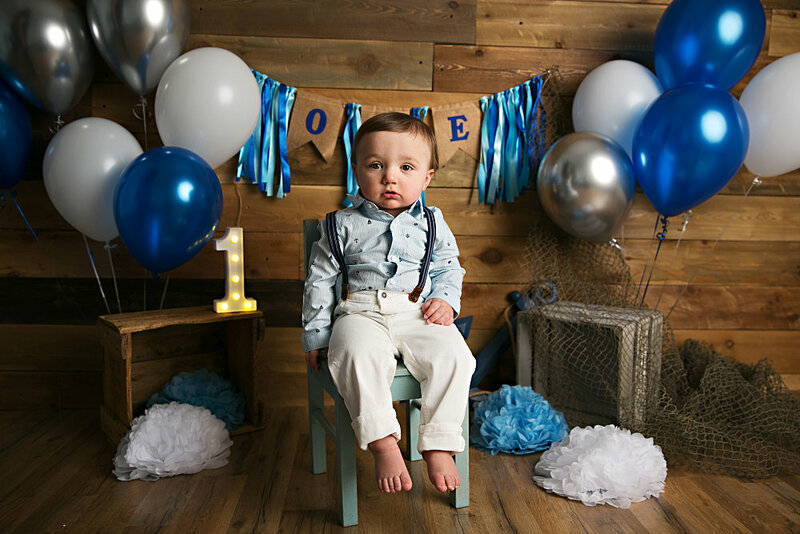 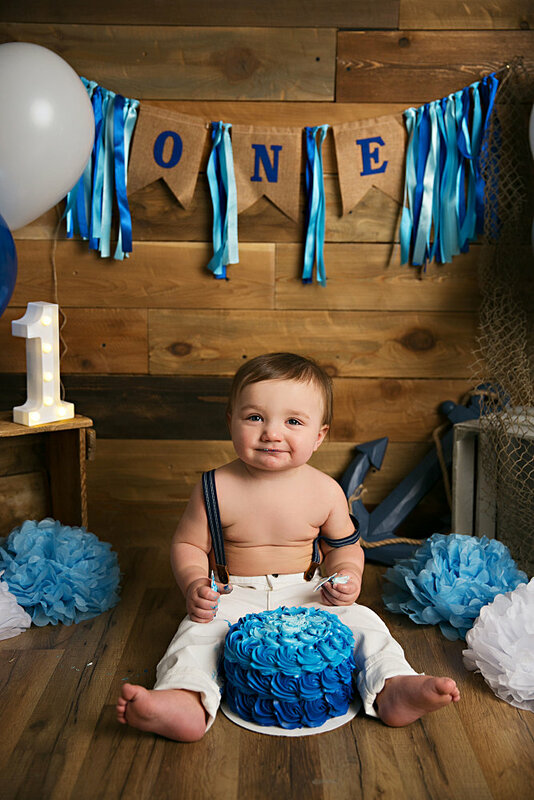 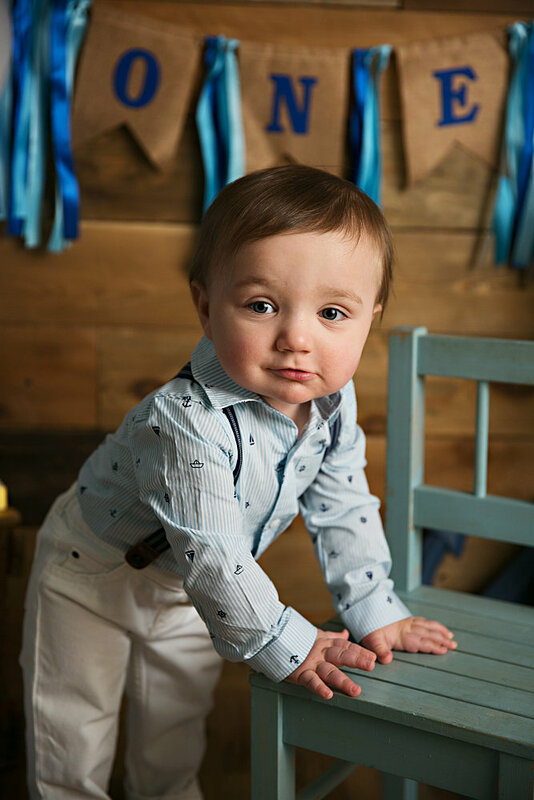 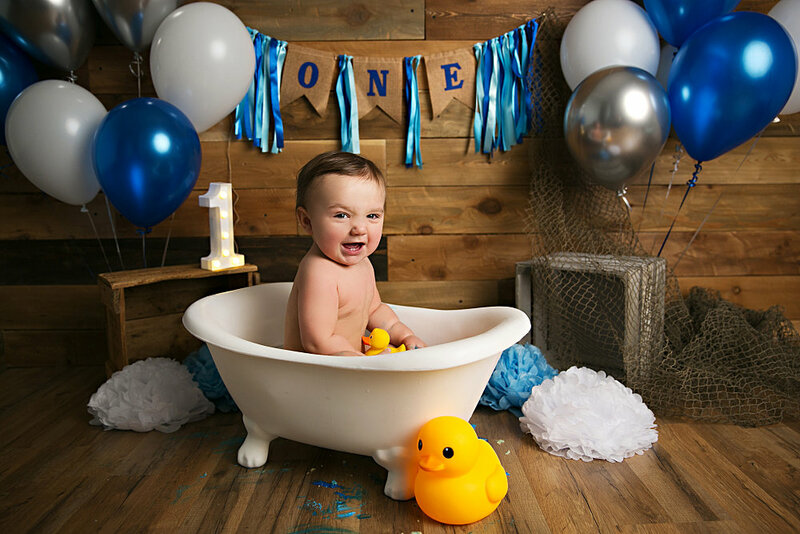 You'll need to provide the cake, one outfit for portraits and one outfit or diaper cover for the cake smash.